Green Room 2 is for our children aged 24-36 months. There is a variety of indoor toys and equipment to allow the children to play in groups or explore on their own. The use of language and communication activities ensure that children can use to express themselves confidently at a very early stage. As they begin to make friends they are encouraged to share, talk and express their feelings. Through their own experiences they can demonstrate a sense of pride in their achievement. Children’s vocabulary becomes more complex, they use a wider range of words to express or elaborate ideas and this reflects the breadth of their experiences. Working in partnerships with parents/carers, toilet training is encouraged at each individual child’s pace. 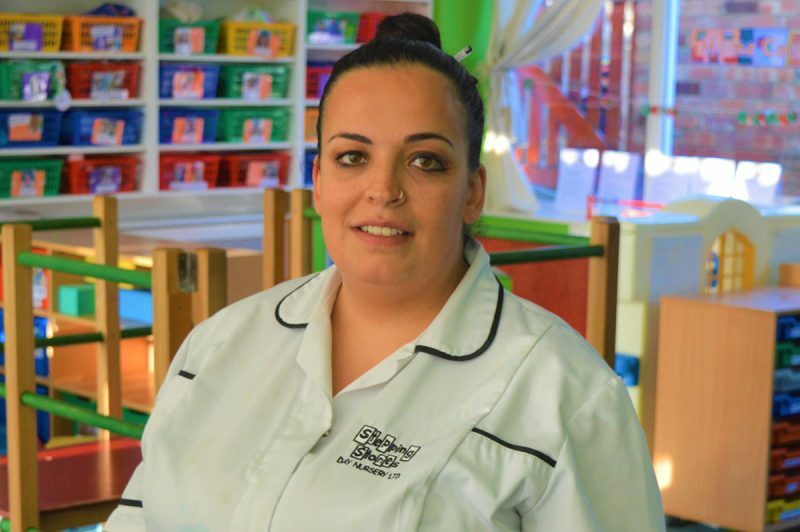 The toilet and nappy changing facilities are located within the playroom. Green Room 2 will allow your child to develop their communication skills, allowing them to become more independent and give them the ability to communicate their needs, allowing them to move to our Pre-School with confidence and ease. Green Room 2 prepares the children to become more independent in preparation for the next stage of their development as they continue on to the Pre-School.